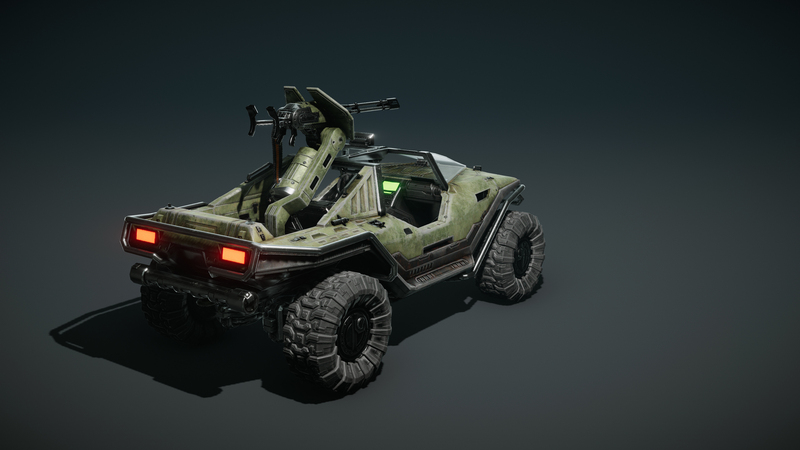 Installation 01 is a fan game, and it needs dedicated Halo fans to apply their skills to help complete said game. If you've been meaning to join the Installation 01 team head on over to our Join Us page where we have some open spots that need to be filled. Another week, another update. Some updates are better than others. 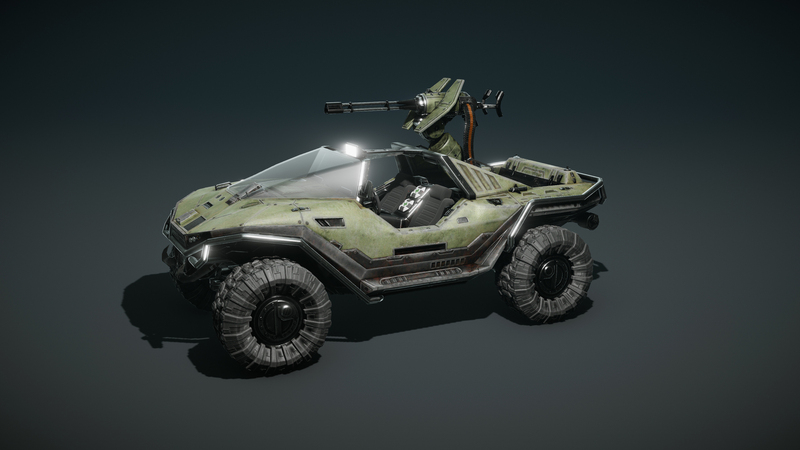 Some updates don't have warthog images. This isn't one of them. Here they are, fresh off the render farm. 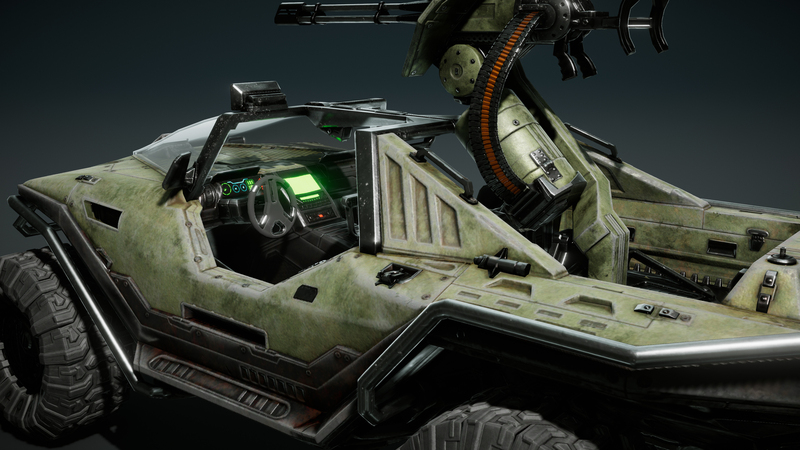 The Mongoose isn't the only vehicle that goes vroom vroom. This one does too. Letters to the Webmaster is something that Bungie started doing in the 90s but hasn't done since 2012. Well now we're bringing it back. When I asked you guys to send your emails, I didn't expect to only recieve a grand total of six emails. With none of them being remotely interesting. Luckily, we've hired a hyper-intelligent monkey and given him his very own typewritter so he can respond to some of your Facebook and Twitter comments. I don't know how or why he does what he does, but I don't ask too many questions when somebody does my job for me. I spend most of my life in bars, and as such my alcoholism is destroying my family. Your emoji reaction to said bars only furthers my desire to drink until I blackout and somehow appear naked several days later in an alley four cities over. Had I never entered those bars I could have avoided contracting the cocktail of diseases I picked up whilst comatose. Have you heard of a mobile application knows as “Tinder”? Legend has it that all of the hip, cool teens are using it. You should give said app a try before resorting to asking a team of game developers to give you one for free via social media. Dinner isn’t cheap, we can’t just hand these things out. I’m not sure how Nestle’s frozen dairy dessert is relevant to our mission at all. It’s not like those ice cream bites are the ice cream of the future, that title belongs to Dippin’ Dots. Now you’ve just made me hungry. Please send me some Dippin’ Dots. I want to see them delivered directly to my door via a line of refrigerated semi-trucks. I would recommend buying them wholesale to save your money for the exorbitant shipping costs you will surely rack up from this process. We have a page on our website that explicitly lists all of the current members of the team. There are a couple of ancient methods to calculate the total number. One involves calling upon the demons of Selzar, the other involves just counting the names on the list. I know you get lost if that number is higher than the number of fingers you have, but I do believe you’ll figure it out one day. Even if you do have to ask your six year old nephew for help. This last Tuesday was Halloween, the spookiest time of the year. And our last weekly update was no expection to such spookiness. Now Halloween has passed and it's November. 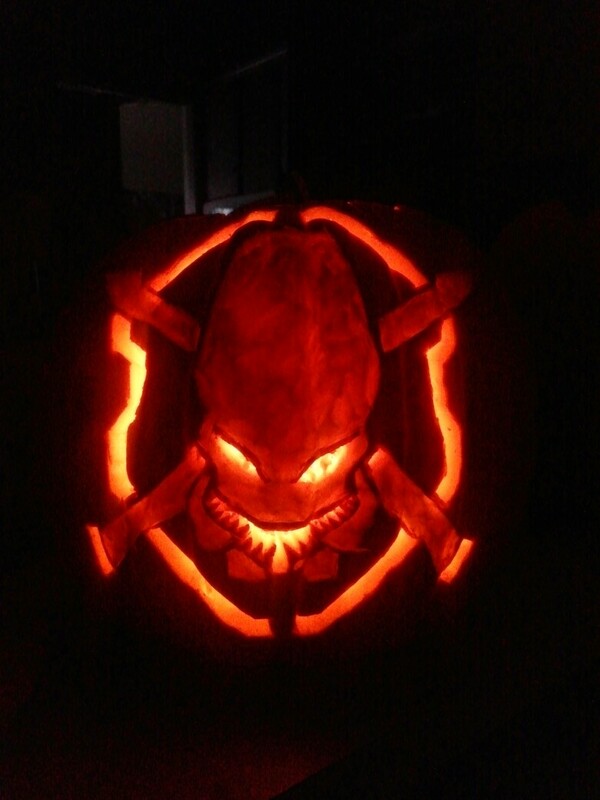 But that doesn't mean we can't show off this legendary jack o' lantern sent in by blackmist45 on Discord. Who doesn't love a good Elite skull? The identity of Spiderman is supposed to be a secret. 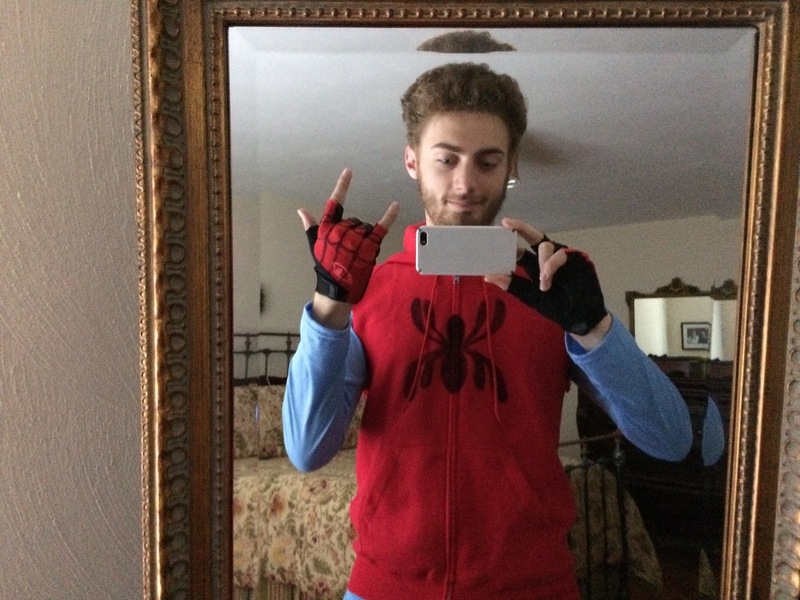 Everyone believes that he's Peter Parker. But that couldn't be further from the truth. It's actually Bean. We've caught him red handed. 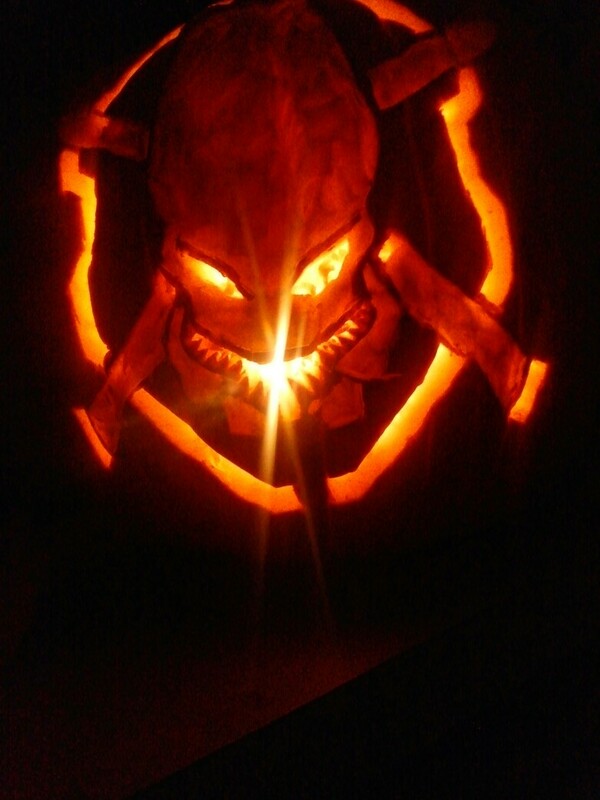 If you have questions, comments, concerns, fan art, videos, memes, or some other thing I can't think of (like a jack o' lantern) then send it on over to [email protected] where I probably won't even respond. But there is a chance you could be in the next Community Spotlight or Letters to the Webmaster. It's a small chance, but it's there I swear. I like it. Got a ^^^Halo ring to it!